ARRL Affiliated Clubs like EPARS receive a commission for every new ARRL membership and renewal they submit to ARRL Headquarters. Clubs retain a portion of the dues for each regular membership submitted to ARRL Headquarters. Clubs retain $15 for each new membership OR lapsed membership (of two years or more). A NEW MEMBER is defined as any individual who has never been a member of ARRL or any individual who has not retained a membership for two or more calendar years prior to the application submission. Clubs retain $2 for each renewal. A RENEWING MEMBER can renew at anytime, even before their current membership term expires. Family, Blind and 21-and-under discounted memberships are not applicable. May not be combined with any other promotion or special offer. What are the benefits of ARRL membership? ARRL’s Regulatory Information Branch provides information on FCC and regulatory questions; problems with antenna, tower and zoning restrictions; and reciprocal licensing procedures. Call or e-mail our expert ARRL Technical Information Service specialists for answers to all your technical and operating questions. 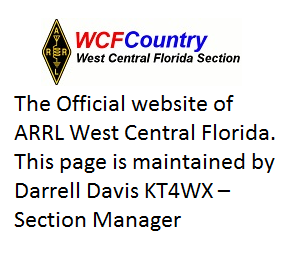 This service is FREE to ARRL members. No matter where you live, you could end up in the middle of a natural disaster. You may not be able to salvage what you had, but with the ARRL Ham Radio Equipment Insurance Plan you can get the help you need to get back on the air. Insurance is available to protect you from loss or damage to your amateur station, antennas and mobile equipment by lightning, theft, accident, fire, flood, tornado and other natural disasters. QST Digital Edition – In addition to receiving QST by mail each month, members have access to the digital version of QST at noadditional cost. Each month, ARRL will send members an email with the link to the digital edition where they can choose to read it online, or download the entire issue to their laptop. The new format offers several advantages including enhanced content, timely access, and a more interactive experience. The digital edition is easy to navigate; flip pages from cover-to-cover, zoom in/out, search (full text), print and share, and follow live hyperlinks. Each issue will include unique video and audio features, and other extra content. Members must have a valid ARRL website login to access the current digital edition of QST and archived editions. QST Archive and Periodical Search – Search for articles from any issue of QST, QEX and NCJ by title or author. Download digital copies of QST articles—view and print your favorite article and project. 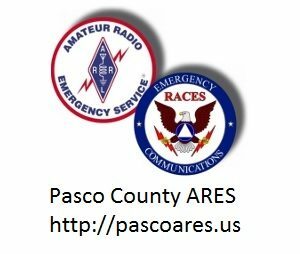 FREE E-Newsletters–Join today and subscribe to a bunch of FREE e-newsletters: ham radio news, radio clubs, public service, contesting and more! Product Review Archive – Get copies of any QST Product Review column from 1980 to the present. Customized ARRL.org home page–Customize your home page to see local ham radio events, clubs and news. ARRL Member Directory–Connect with other ARRL members via a searchable online Member Directory. Share profiles, photos, and more with members who have similar interests.